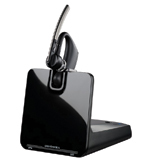 The Voyager Legend CS is a Bluetooth wireless option offering dual connectivity to desk phone and mobile phone, allowing workers to use the same headset in the office or on the go. 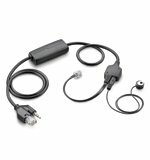 This headset system provides a high level of audio quality and demonstrates professionalism when on a call, yet it is small enough to move with them and provide value-add features to improve productivity. 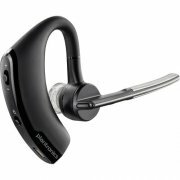 Featuring Plantronics flagship Voyager Bluetooth headset with a sleek and contemporary design as well as new technology and functionality, this trend will carry on with the new Voyager Legend CS.